CREATIVE ~ YOGA ~ HEALTH ~ ASTROLOGY: Rare Super Het-Heru Moon! Well its that time again and as i'm writing this i'm reflecting on what an abundant time it is to be alive. With Neptune in its home of Pisces there is definitely a spiritual cleaning taking place which is providing many levels of healing throughout our collective consciousness. With the sun currently in Scorpio making aspect to Chiron (healing) a lot of things that were buried are coming to surface on a physical and metaphysical transformative level. We can no longer mask what is truly going on inside, as its reflecting in our external world in real time. The truth on all levels is being exposed and it's making a lot of people uncomfortable. For others its a great time to make great changes. A greater force is prompting us to deal with our deeper inner fears, insecurities so we can be our truest, greatest potential. Yes we will be witnessing a Super moon, the first of it's kind in 68yrs. The moon will be at it's closest proximity to the earth, the first in my lifetime. What does that mean for us earth begins? The magnetic pull will be stronger than it has been for many years intensifying our emotional bodies whilst providing a release mechanism. Tomorrow at 13.52pm when the sun is at its most elevated point in the sky(noon), is when the Moon will be most activated in Taurus and although this moon will affect everyone under it, its pull will have a stronger internal effects on Taurus, Scorpio, Leo and Aquarius. It places emphasis on finances, real estate, sexual partners, joint partners and the things we love to do. The sun is currently transiting through the underworld star group of Scorpio shedding light on everything hidden down there whilst the Moon is reflecting and releasing this through its deep level of subconscious transformation and healing. We are witnessing the energies of an Unseen Feminine force working together in the cosmos. As we are a reflection of this Macro universe be sure that it is happening to us on a micro level. 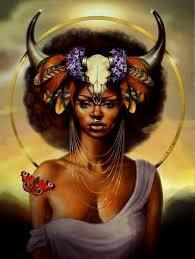 The feminine energy is at its peak. 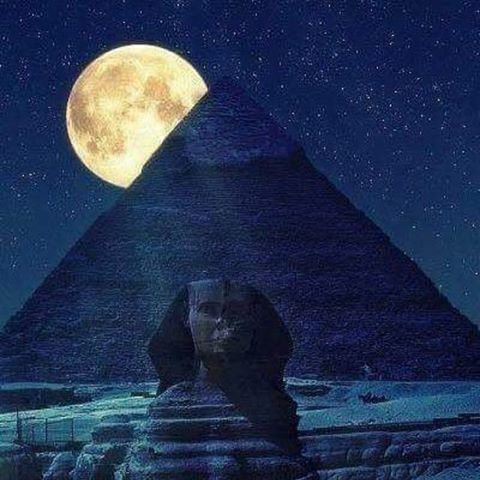 This full moon is everything to do with the Goddess Het- Heru on her seat of creativity, love and sexuality. She governs the Laws of Attraction, the gateway to sensuality and how we use the creative faculties of our minds to build secure foundations for the future. 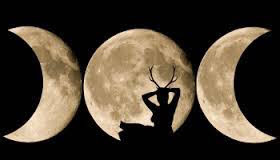 With Chiron and Pluto in the mix there is a level of understanding that we shouldn't be ashamed of our past wounds and our scars as they are key to accessing our powers within. They hold with them emotional memories. We cannot build on rocky foundations more so we need to use these experiences to remind us of the inner work we have done so far and allow it to catapult us to our visions. What we feel is everything to do with manifestation. Taurus and Scorpio, Leo and Aquarius are all fixed signs, which means whatever visions formalised under these energies can stand the test of time. They are the 4 pillars that firmly holds our creations in place and as we are in the age of Aquarius, it requires the assistance of its other 3 fixed signs to activate its truest vibration. The pillars of stability and security. Elements that we need to seek within ourselves. I say this with so much gratitude and passion as i truly understand that, when you align yourself with the celestial energy you can utilize it to harness into the terrestrial reality anything you desire/require on your path. However it's important to know your cosmic role. Too many people are doing things out of there cosmic DNA and not getting the results they want because they are not aligned with that which they THINK they should be doing. We are stellar gods/goddesses. Play out your true role. There is no mistaking that you know your role by the way it makes you feel, start manifesting what you truly are. Its the law of correspondence at play. And this Full Moon is another reminder that we are given the opportunity to release and rewire everyday, take what you need or let go of what isn't needed from this full moon energy. Its here to assist you! Have a beautiful Het Heru Full Moon. Wow! That makes sooooo much sense and yes indeed, I can feel it! ThAnkh you Nai Davina for such a clear insight into Cosmos activity. gratitude in Abundance, Ase.